There are many vitamins that work for your hair’s growth and the market gives you all kinds of products. As we age, our hair gets thinner and starts to fall and we all want to prevent and keep at distance these symptoms. We all want thicker, fuller, shinier hair, no matter the age, in the end. Many hair growth pills contain natural ingredients and are backed up by science, whereas you can also find some that are completely bogus. Look for vitamin C, B, biotin, Niacin in your hair growth pills as science as has already proven their benefits on the hair growth. As general rule, you should take this type of pills if you are not getting enough nutrients from your food. 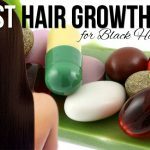 The hair growth pills are not only for those with vitamin deficiencies, but for most of us that aren’t able to absorb the perfect amount of nutrients for the hair growth. 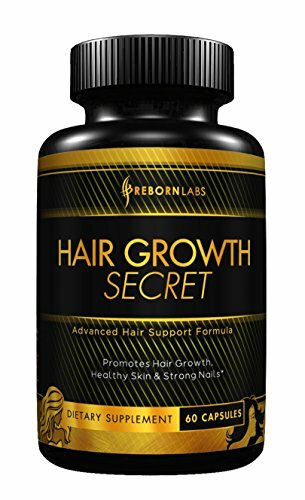 0.1 Are all hair growth pills the same? 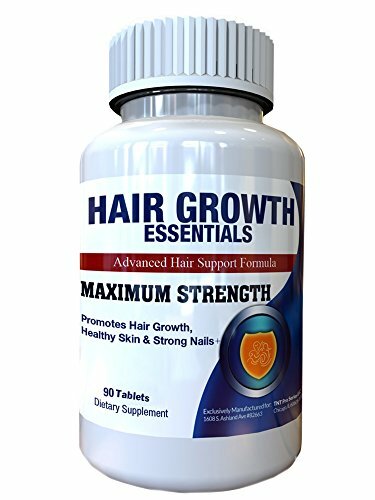 Are all hair growth pills the same? 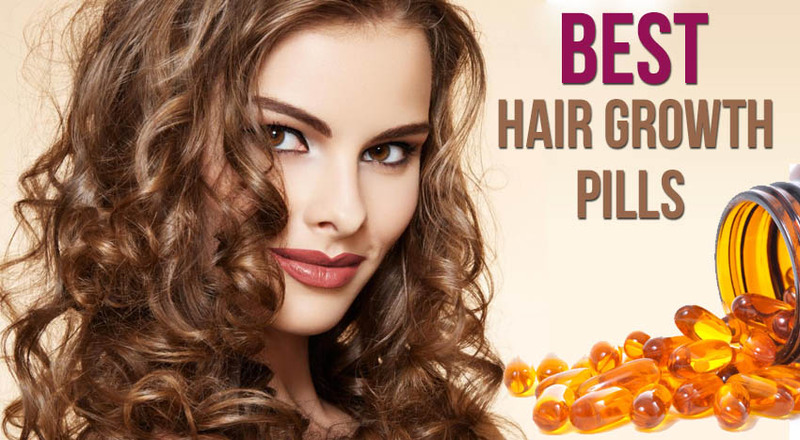 Best hair growth pills reviews talk about how good vitamin pills may help both, women and men, to improve the quality of their hair. 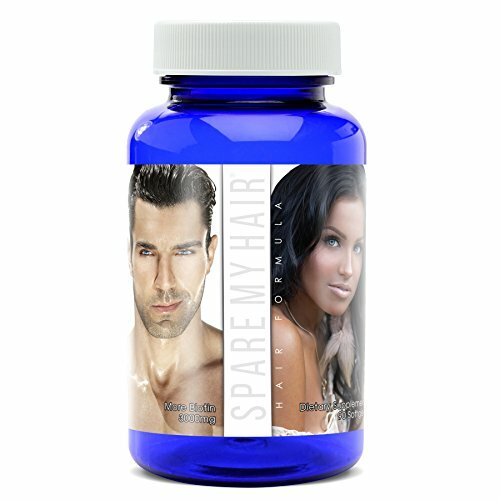 some hair growth pills address to women and men just as well, but if they are gender specific they include ingredients that work better either for women or men. Best hair growth pills are high-quality and able to nourish and rejuvenate your hair from the inside out. Your hair grows longer, stronger, faster and thicker. 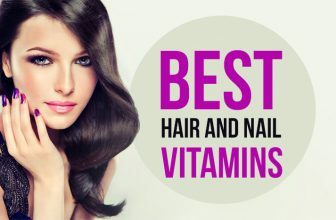 Keep in mind that hair growth pills are also highly efficient on skin and nails too. If you want your hair to be thicker and grow faster, look for the pills containing vitamin C, Iron, zinc, biotin, niacin and proteins. Some pills step up the game, like Viviscal that also include marine complex derived from fish proteins, that is Omega 6, fatty acids. No matter your choosing, no pills are no good if not taken daily. Give the pills some time to work, even up to 6 months in order to actually see the results. Biotin is the so-called vitamin B7 (vitamin H also) and you can typically find it in dark green leafy vegetable, nuts and egg yolks. Hair loss appears when your biotin level is low. This vitamin help the hair follicles renew and taking as a supplement helps your hair get thicker, fuller, healthier looking. Vitamin C is essential for the production of collagen and is an antioxidant that protects against the damage of free radicals. Free radicals also may damage your hair and vitamin C deficiency means also brittle, dry, splitting hair. You can also try the essential vitamin supplements that heal the irritated scalp, nourish both hair and scalp. your hair grows healthier, stronger and less prone to damage and breakage. Even though most hair growth pills don’t have side effects, it’s always better to check the label to see if you are allergic to some of the ingredients. This applies especially in the case of fish or seafood so you need to pay attention. We can’t say exactly what are the best hair growth pills. We can only give some hints and piece of advices. Keep in mind that hair growth pills work from inside the body, which is why it takes 3 months at minimum until you see some results and 6 months for the final results. All the nutrients from the pills nourish the hair follicles only in the end, as hair is a non-essential body part so it’s on last place to receive nourishment from the pills. 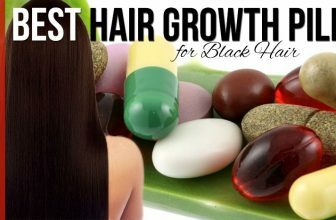 The hair growth pills work according to your natural hair growth cycle and this is why your hair won’s stop falling the very next day. If you want to power up the process, you may include a combination of best vitamins, minerals and nutrient-rich extracts. If this is your first time when you use hair growth, tip your toes in the water with the Hair Growth Vitamins Supplement for Longer, Stronger, Healthy Hair. The formula combines various natural ingredients that nourish your hair and help it grow faster and shinier. The pills eliminate split ends, dry hair and your hair gets well moisturized thanks to the Biotin and all the other ingredients within the pills. Your hair not only grows faster and stronger, but thicker just as well. The shedding goes away and your hair becomes frizz-free. Among the ingredients we see Biotin, that supports hair health and hair growth, zinc that is directly related to hair loss (when it’s too low), magnesium that regulates many reactions in your body and Bamboo extract that makes your hair, nails and skin stronger. The Saw palmetto is a natural DHT blocker, the main cause for hair loos. We also find as ingredients all essential vitamins: A, C, B1, B6, B12, E, D, folic acid, calcium, iron. The pills are easy to take as they have a nice clear gel texture and have no after taste. They are regular size and have no smell either. You can take two pills daily, with a meal. If we take a look at the big picture, we see a natural formula that works pretty well, as long as you wait enough to see results. The Spare My Hair Vitamins for Hair Growth Supplement are full of essential nutrients and vitamins that help your hair follicle grow longer, thicker, shinier and healthier. The vitamins contain no less than 3000mcg Biotin, which ensures a fast growing for your hair. the vitamins have a soft gel form and you should take 3 of them daily to see results. The Rosehip oil from the vitamins is great for skin and hair, whereas Biotin, vitamin A, C, D3, E, B1, B6, 12 sustain its efforts. The list of ingredients also includes iron, iodine, magnesium, zinc, selenium, manganese, pantothenic acid, calcium. All these ingredients are working together to block DHT for good. The combination of the ingredients is quite strong and efficient and sustains your hair to grow healthier and shinier. The vitamins are great for all hair types and they shouldn’t replace a varied and healthy diet. They are easy on your stomach and don’t taste bad. They are working from inside on outer looks of your hair. They are made in our USA. Keep them away from children and direct sunlight. Overall, the vitamins are full of efficient vitamins and Biotin, ensuring your hair to grow faster, healthier and shinier. A fairly priced option when in need for hair growth pills is the Manetabolism Plus Hair Growth Vitamins 60 capsules. The pills contain most of the ingredients so well known for their power when it comes to healthy hair growth. On the list of ingredients, we find the vitamins: A, C, E, B1, B2, B3, B12, but also magnesium, zinc, calcium, zinc, copper. The pills also contain Biotin (5000mcg) and this is why they are so efficient. The hair follicle grows healthier, stronger, thicker, longer. It becomes shiny, frizz-free and easier to manage. No more shedding, no more tangling, no thinner hair. The inactive follicles and the slow growing ones are boosted by the pills. The pills have a good influence on your general health also. the antioxidants within sustain the immune system and increase the energy levels. All in all, for a fair price, you get efficient and reliable pills that work for a healthy hair growth and more. 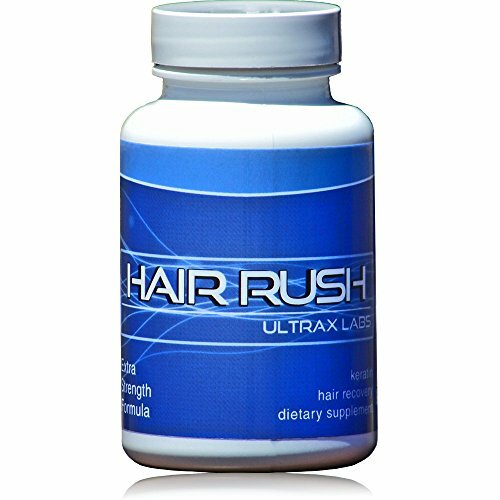 If you want to step up the game on hair growing, try the Ultrax Labs Hair Rush DHT Blocking Hair Loss Maxx Hair Growth Nutrient Solubilized Keratin Supplement. The pills don’t include only the essential vitamins that we all know that work on hair growth, but also solubilized Keratin ingredient that sustains hair growth and thickness. The pills fasten hair growth and minimize hair loss, with no side effects. They work both for women and men and you may see results right after 4-6 weeks of use. The formula includes more than 20 essential vitamins, minerals and herbs that work on your hair from the inside out. The solubilized Keratin speeds up the hair growth and your hair to become stronger, thicker. The Nettle leaf powder from the formula partially block DHT, whereas pumpkin seed powder helps your hair grow healthier and faster. The saw palmetto blocks a certain enzyme that helps the change of testosterone into DHT, the main cause for male and female pattern baldness. Vitamin B6, Magnesium, Zinc and Biotin work directly on the hair follicles, giving them an energy boost. Your hair not fall anymore and grow in the empty spots. Your hair becomes shinier, easier to comb and to manage also. The pills are easy to take and also gentle on your stomach. As for the cons, we only mention the price that might seem a bit high for some. Either than that, we think the pills work on your healthy, fast hair grow. 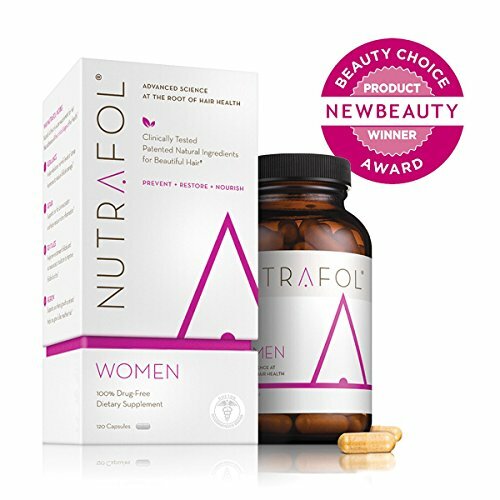 Especially created for women, the Nutrafol Women Advanced Thinning Hair & Hair Loss Supplement include no less than 4 patented clinically proven ingredients that fight the main causes for hair loss, thinning hair. the formula is anti-aging and helps your hair grow faster and thicker. The hair shedding and the hair loss are minimized as the DHT gets blocked. Nutrafol applies the medicinal properties of plant-derived phytochemicals. It’s scientifically proven that they are very important when it comes to fighting the hair loss causes, but also against hair thinning. The nutraceutical ingredients are helping your hair grow and keep anti-aging far away. Nutrafol actually minimizes the effect of too much cortisol in your body-an important bad influence on healthy hair growth. Sensoril is another clinically proven adaptogen that helps the body to lower the stress hormone. These nutraceuticals work together to make your body fight against aging, hair loss, healthier hair growth. The pills are easy to swallow and are regular sized. They contain no gluten and are also great for your skin. Even though you need to give them some months to work until you see the results, the pills are an efficient and complex solution for your hair and skin. When you sit in the middle and don’t know if you should pay the extra buck for some hair growth pills or settle with the low priced ones, take a leap of faith and get something in between. The Vie Naturelle Hair Growth Essentials are neither the cheapest, nor the most expensive pills out there, but they sure make a good quality option anytime. The Hair Growth Essentials contain almost 30 essential nutrients that your body might lack, giving you the healthy hair growing that you are looking for. The supplements are mare in our USA and follow the strict GMP guidelines regarding safety and quality assurance. They are a natural help for your hair growth and typically don’t have side effects. The combination of the ingredients is well thought out and the pills work both on women and men. As they consist of many quality vitamins and nutrients, you might see improvements on your skin and nails, not only on your hair. They are not only about the all praised Biotin, but also about the numerous essential vitamins, minerals and amino acids that sustain and increase the effect of Biotin. Your hair, skin and nails get stronger, healthier and they are all nourished and moisturized thanks to the pills. Your hair doesn’t fall anymore, but grows faster, stronger, fuller and healthier from the inside out. After a month of using the pills, your hair stops shedding and the fall decreases. If you also fight with dandruff, you see how it slowly goes away. If we see the whole picture, we find some efficient, reliable pills, full of essential nutrients, vitamins and Biotin that work for most of us out there. Just because you’re tight on a budget doesn’t mean you can’t have good, reliable products. 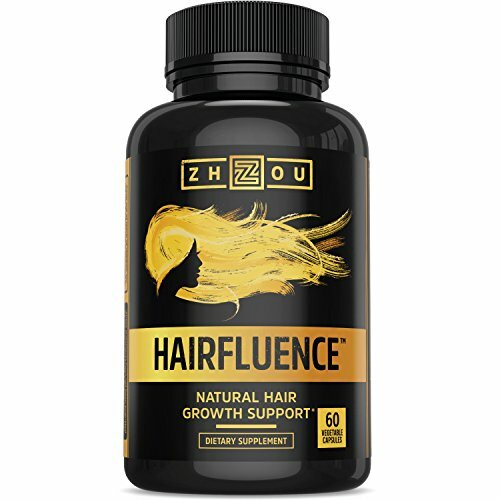 If you are trying to have thicker, faster growing hair, a low-priced and pretty good option is the Hairfluence – All Natural Hair Growth Formula. The formula contains only natural ingredients that are well-known for their abilities. The pill made you hair healthier, stronger, but it also improves the looks on your skin and nails, that become stronger also. your skin is moisturized, healthier and the nails get stronger, grow faster from the roots. When we take a closer look at the ingredients we see Biotin, that is known for its efficiency on hair loss, keeping at distance hair breakage and damaged hair. t works on the existing hair, but also on the new growth one also. The bamboo extract is full of Silica, an essential nutrient that nourishes the tissues in your hair, nails and skin. This is responsible also for healthier, younger look of your skin also. The collagen gives almost 20 essential amino acids that boost healthier cell growth in hair, nails and skin. The MSM is a naturally-occurring compound that helps the body create collagen, which translates into flexible skin and hair. The pills also contain Keratin, vitamin C, A, B12, D3 and E- all working together for a healthy, continuous growth of cell in hair, skin and nails. The pills are normal size and quite easy to take. They have no after taste and you only need to drink lots of water while using the pills. All in all, for the little money you pay, you get some good, efficient hair growth pills that are also natural. 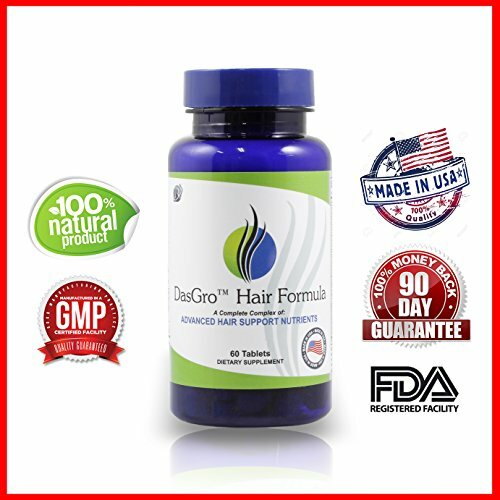 If you are trying to help your hair grow faster and thicker, give it a go with a natural option like the DasGro: Natural Hair Growth Vitamins. The pills are both for men and women and contain around 20 strong ingredients: MSM, Saw Palmetto, gingko biloba, green tea, grape seed extracts. There are also several vitamins and other natural ingredients: Vitamin A, B1, B2, B6, C, E, folic acid, calcium, zinc, copper and 4000mcg Biotin. The pills are 100% natural and have no preservatives. Gluten or fillers. They are made in our USA, FDA approved and have never been tested on animals. 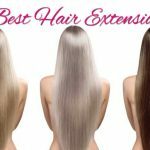 All hair types may benefit from these pills and you only need to take it twice a day for several months in order to get some results. The formula fights against hair loss from within and encourages your hair to grow healthier and thicker. The hair becomes stronger and grows fuller. The hair follicles are healed from within and the thinning goes away. No more shedding, nor hair loss. The pills have no side effects either and are easy to take. As in all cases, nothing works the same for everybody and you need to be patient to see the results of the pills. 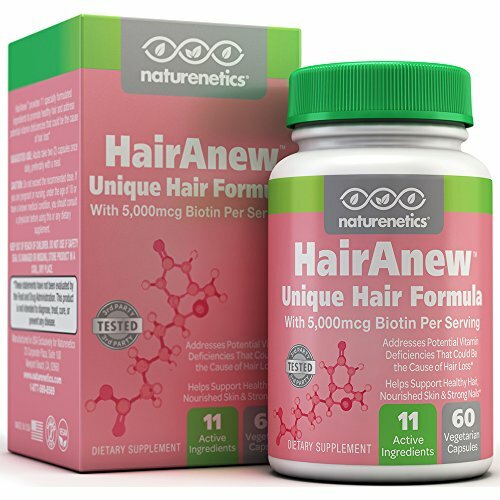 If you are enjoying your natural hair and still want to improve its texture and boost its growth, give it a try with the HairAnew (Unique Hair Growth Vitamins with Biotin). The pills are made in our USA and are independently tested. The pills are gluten free, vegan and have never been tested on animals. The formula includes 11 ingredients, herbs, vitamins, amino acids, minerals and trace elements that nourish the hair follicles from inside out. Your hair and nails grow stronger, healthier and your skin gets nourished at the same time. We find as ingredients Biotin (5000mcg) that is so known for its efficiency on healthier growth of nails and hair. we also see vitamin C, B6, E, calcium, zinc, gingko biloba, bamboo extract. All of these ingredients work together inside your hair follicles, making them stronger. No more shedding, hair loss. The hair grows healthy, strong, shiny and frizz-free. It doesn’t tangle anymore and is easy to manage. The pills have a good size, no aftertaste and are easy to take. You should take two daily, with a meal. But, in case you want to celebrate your natural hair and give it a boost, the pills are a good vegan choice. If you are expecting, you know that besides the joy, come the not-so-great side effects, like hair loss or nails breakage. As you are in a sensitive period of your life, you have to play it on the safe side and stay away from the regular hair growth pills as they include ingredients that might hurt your baby. You have the option of regular prenatal pills that also show great results when it comes to your hair growth. 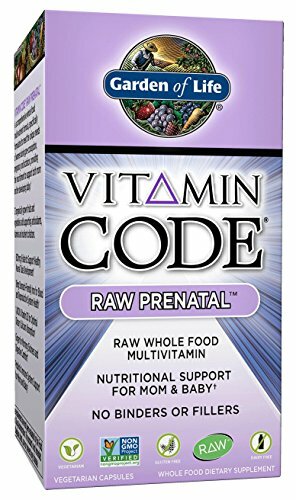 The Garden of Life Vitamin Code Raw Prenatal are a good example and they are designed to support your immune system during pregnancy and after birth also. The pills are full of great ingredients for you and your baby: probiotic, ginger, vitamin D and Zinc. Some of these ingredients though work on the hair follicle also, helping it grow healthy and strong. The Vitamins E, C, B-complex, A, folic acid- they are all ingredients that are known to have benefits on your hair. Your hair gets stronger and the hair doesn’t fall anymore. Less shedding, stronger hair at the same time. Copper and iron come also on the list of ingredients, supporting your hair growth and the nails getting stronger. The pills have no smell nor after taste and are easy to swallow. As you find yourself in a sensitive time of your life, keep in mind that what might feel not smelly to you, might cause nausea to another future mom. The pills work not only for your health, but also give your hair and nails a boost, making them stronger and healthier. For those of you don’t have the patience to wait several months until obvious results, the Viviscal Extra Strength Hair Nutrient Tablets are a great option to try. The Viviscal Extra Strength nourishes the thin hair and encourages the existing hair to grow stronger. The formula includes the exclusive marine complex AminoMar that works from within on the thin hair. the nutrients inside give the hair follicle what it needs in order to grow back again or to grow stronger than before. The ingredients also include Zinc, Vitamin C and horsetail extract- all working for the healthy growth of your hair. All in all, as they give fast results and everyone is in a hurry today, the pills are worth to try. The African hair typically needs more hydration and moisturize and, even if you are using some hair oils that improve your hair’s texture, sometimes it’s not enough. The Newopure Natural Hair Growth Vitamins are a great option for your challenging African hair as they minimize hair-loss and block DHT. The vitamins contain no filler, no preservatives and are efficient for all hair types. The pills are made in our USA and are FDA approved and GMP certified. The formula is efficient for both men and women that fight against pattern baldness. The vitamins help also your scalp and keep it healthy, as they nourish the hair follicle. There are many strong ingredients: Collagen, keratin, biotin that fight against hair loss and help the hair grow faster, thicker, longer. The pills contain more than 25 essential vitamins, minerals and herbs that boost your hair from inside out. We find Fo-Ti root powder that has anti-aging abilities but also is able to block DHT. The goji berry, alma fruit and grape seed encourage hair grow faster and healthier. The pills also include zinc, vitamin B6, calcium and magnesium that boost the hair follicles. 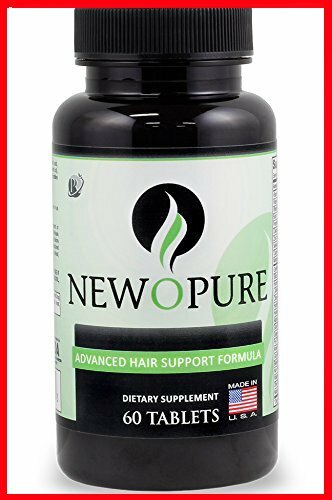 Newopure’s formula is based on hydrolyzed keratin that increases hair growth rate and makes the hair thicker, keeping hair loss at distance. Your hair gets thicker, shinier and easy to control. It grows healthier so that is not thin and tangling anymore. The frizz is gone and the hair becomes easier to style. The pills are gentle on your stomach and have no side effects. They give no headaches and leave no aftertaste. As they help your hair grow thicker, shinier and stronger, the pills work for most hair types and the dry, difficult to tame challenging African hair. 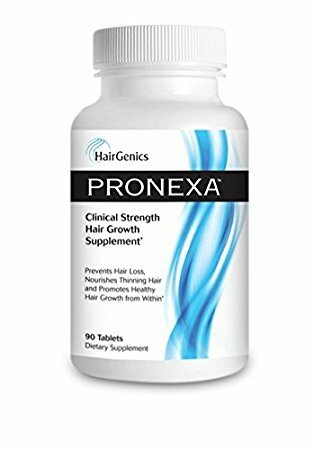 If you want improvements both for your hair and nails, give it a go with the Hairgenics Pronexa Hair Growth Supplement. The supplements are FDA certified, according to GMP also and made in our USA. The pills help your hair and nails grow fuller, thicker and healthier, no matter if you are a woman or a man. The formula contains various and multiple ingredients that are scientifically proved to work on hair and nails growth. We see on the list of ingredients vitamins: A, B1, B6, B12, C, D, E, magnesium, manganese, calcium, iron, folic acid and Biotin. The pills also are made with a proprietary blend that combines horsetail, RNA, choline bitartrate and PABA, a formula that encourages hair and nails growth. All the ingredients work together so the hair loss and hair thinning, nails breakage minimize and, eventually, stop. The hair and nails are nourished and grow thicker, faster and healthier. You may see even some changes to the good on your skin also. You only need to be patient as it might take 6 months until you see obvious results. Your nails get stronger though even after one month of use. As long as you pay attention to your body reactions, you may find the pills to be a great support for a healthy growth of your hair and nails. If you don’t have the time and the patience to look for the best solution for your hair, try some over the counter hair growth pills that might surprise you with their quality. 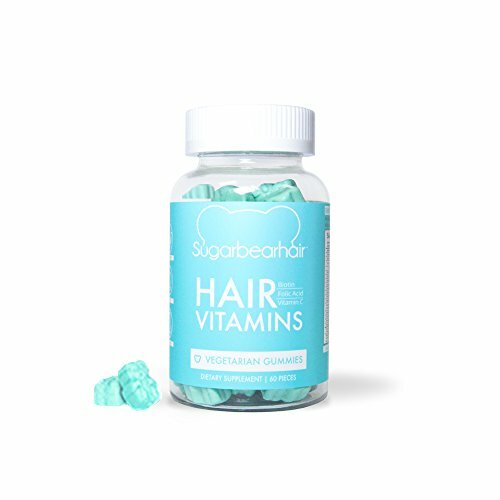 The SugarBearHair Vitamins are a good example on this and they are very easy to take- they do look like bears; you know? The vegetarian formula is based on previous clinical trials and the ingredients work on hair growth. The pills contain vitamin: A, C, D, E, B6, folic acid, B12 that work from inside out on the healthy hair growth. The list of ingredients also includes biotin, iodine, zinc, inositol, pantothenic acid, choline as active ingredients. The hair follicles get healthier and your new hair grows stronger and faster. The pills come in many colors- which is so much fun! They address to all hair types and help your hair get thicker, fuller, longer and shinier. As it figures, the pills not only look great, but also taste and smell amazing! But, if you are in a hurry and don’t have time to decide which hair growth pills to choose, the little bears are a fun choice, to say the least.